The presence of 38-year-old convicted murderer Bruce Reilly is stirring controversy at Tulane Law School. For a first-year law student at Louisiana's Tulane University, Bruce Reilly has an impressive resume. He is a leader in the movement promoting human rights and social justice in prisons. He is a screenwriter that has worked in film and theater. He has also received two scholarships for Tulane. But one part of Reilly's past is not on his resume: he is a convicted murderer. This piece of his life was revealed recently when popular law blog, "Above the Law," did an extensive story on Reilly, including his thoughts in addition to the concerns of other students. When news of Reilly's past began to spread, people he did not know began to friend him on Facebook and try to make contact with him. "We live in a passive-aggressive culture of curiosity and fear," he wrote in a now-removed post on his website Unprison. "Let's cut to the chase: I killed a man 19 years ago." In 1993, Reilly, now 38, was arrested for the murder of Charles Russell, an English professor at Community College of Rhode Island. He allegedly stabbed Russell to death and stole some of his property, according to The Times-Picayune. Reilly plead no contest to second-degree murder and robbery and spent 12 years in jail. In a letter to "Above the Law," an anonymous Tulane student wrote a scathing criticism of the school expressing anger that students had been compared to Reilly in the admissions process and that he received scholarships. The student also wrote about the possibility that "when placed in one of the most stress-inducing environments in the United States, Mr. Reilly will reach his tipping point and live up to his violent past, pulling a Virginia Tech-esque move and [harm] fellow students." Reilly responded to all of the talk in a letter to the website. "I understand that some of my classmates have probably never had any known interactions with people who have committed a violent crime or been imprisoned," he wrote. "This is yet another opportunity for society to learn that we need everybody involved if we are truly going to build a strong and equitable community." 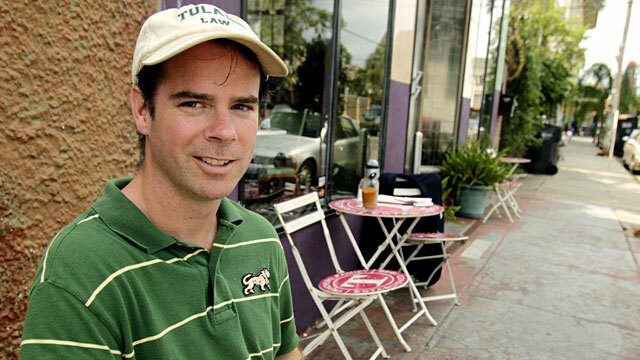 While Tulane would not comment specifically on Reilly's situation, David Meyer, dean of Tulane's School of Law said the following in a statement: "We evaluate each law school applicant as an individual, taking into account all available information bearing on their character, life story and academic qualifications. Our admission process also allows for exceptional circumstances if the prospective student's experience and background will contribute to his and his peers' study and appreciation of various aspects of the law." While Reilly defends his motivations and right to attend the law school, he is also candid about living with his crime. "In some ways I deserve this. I brought this on myself," Reilly told The Times-Picayune. "For the last 19 years I've had to come to grips every day with the terrible thing I've done. I took a man's life. How can I possibly brush that off, or make up for it?" While in prison, Reilly became interested in the law and emerged wanting to be an advocate for prisoners' rights. After coming out of prison, he worked for several non-profits involved with prisons, parolees and prisoners' families. He also honed his artistic skills in illustration, graphic design, tattoo art and acting, according to his LinkedIn profile. He received a Dean's Merit Scholarship and an NAACP Legal Defense Fund scholarship for Tulane and is a member of the law school's class of 2014. There is also a question about whether Reilly would even be able to practice law as a convicted felon. According to the Louisiana State Supreme Court, felons are not automatically precluded from practicing law, but they have the burden of proving "good moral character and fitness to practice." Reilly insists that he was upfront with Tulane about his past and is determined to earn his law degree. "By the time I apply to a state or federal bar, my last criminal activity will be as a teenager, and over two decades passed. I will be presenting a model case for rehabilitation, an impressive resume, and a substantial list of esteemed supporters," he wrote in his letter to "Above the Law." "I have found that a majority of our society believes in forgiveness and second chances, and all I can do is keep doing what I'm doing."